On the face of it, the story sounds familiar: Russian President Vladimir Putin’s nostalgia for the greatness of the Soviet Union, his crackdowns on opponents, his defiant insistence that Russia can make its own way in the world. All these have been constants in his 14-year-long rule. But in the few weeks since Crimea was annexed by Russia, Putin has embarked on something that has never been done before. For the first time since the fall of the Soviet Union, the Kremlin is overtly campaigning to cut Russia off from the world. Moreover, Putin is building a new state ideology based on the rejection of Western systems and values, and the demonization of internal enemies and traitors. Moscow’s descent into self-isolation has been precipitous. Over the past three months, the Kremlin and its loyal legislators in the State Duma have brought the number of Russian state employees banned from leaving the country for security reasons to nearly 5 million; they have introduced criminal penalties for criticizing the state-approved version of history; they have introduced compulsory registration for citizens with dual nationality and forcibly labeled all nongovernmental organizations (NGOs) with foreign funding “foreign agents”; and they have made bloggers subject to draconian “anti-extremism” laws that make promoting anti-government protests a criminal offense. Bloggers with over 3,000 followers have to register on a Federal Security Service database. At the same time, Putin has ordered his central bank to set up a Russian-based credit card processing system to rival Visa and MasterCard, and government-employed programmers have been told to create a state-run Internet search engine called Sputnik. The government has banned the U.S.-based global positioning system from setting up stations in Russia and has boosted a Russian-made rival, GLONASS. The Kremlin’s stance on travel showcases the new paranoid mood. In April the Russian Foreign Ministry “strongly recommended” that all Russian citizens “refrain from traveling abroad, particularly to countries that have extradition treaties with the U.S.,” lest they fall victim to a supposed U.S. “hunt for Russian citizens in response to Moscow’s annexation of Crimea. The ministry warned that “U.S.-style justice is biased against Russian citizens”—citing arms dealer Viktor Bout and attempted drug smuggler Konstantin Yaroshenko as examples of Russians extradited to face trial in the U.S. Bout, whose career is the basis for the movie Lord of War, was arrested in Bangkok in 2008; Yaroshenko was arrested in Monrovia, Liberia, with four tons of cocaine in 2010 in a joint operation between the U.S. Drug Enforcement Agency and Liberian police. Russian tourists could be “effectively kidnapped and transported to the U.S.” to face trial “on the basis of, as a rule, dubious charges,” according to the Foreign Ministry. The list includes most countries in the world, among them popular Russian vacation spots Turkey and Egypt. But it leaves Russians free to travel to the Vatican as well as Andorra, a handful of Balkan and African nations, Iran, Saudi Arabia, Syria, China, Indonesia, North Korea and elsewhere in Asia. Recent legislation also imposed a blanket ban on all employees of the Interior Ministry from leaving Russia—ostensibly so they would not reveal national secrets. Last month, all employees of the Prosecutor General’s Office were required to hand in their passports and seek special authorization for vacationing abroad, with travel permitted to only a handful of approved countries. “It is far easier to cultivate an image of the country as a besieged fortress when military personnel, the police and intelligence agencies are unable to see the outside world with their own eyes,” says Vladimir Ryzhkov, a former opposition member of the Duma. Lawmakers are now discussing extending travel bans to draft dodgers—which includes some 92 percent of eligible 18-year-olds in any given year. And rules preventing debtors from leaving the country—which in the first quarter of this year affected 190,000 people with debts ranging from unpaid parking fines to alimony and worse—could be extended to the regime’s opponents, who face draconian fines for participating in protests or speaking against the state or the church online. Journalist Boris Stomakhin, for instance, faces up to eight years in prison for “inciting hatred of orthodox believers by using an insulting term for the Almighty” and “justifying the actions of the terrorists who killed Tsar Alexander II”—which took place in 1881. Andrei Lugovoi, the ultra-nationalist deputy responsible for drafting the new rules on declaring dual citizenship, leaves no doubt that he considers Russians with second passports a “betrayal of national interests” and thinks the practice should be outlawed. 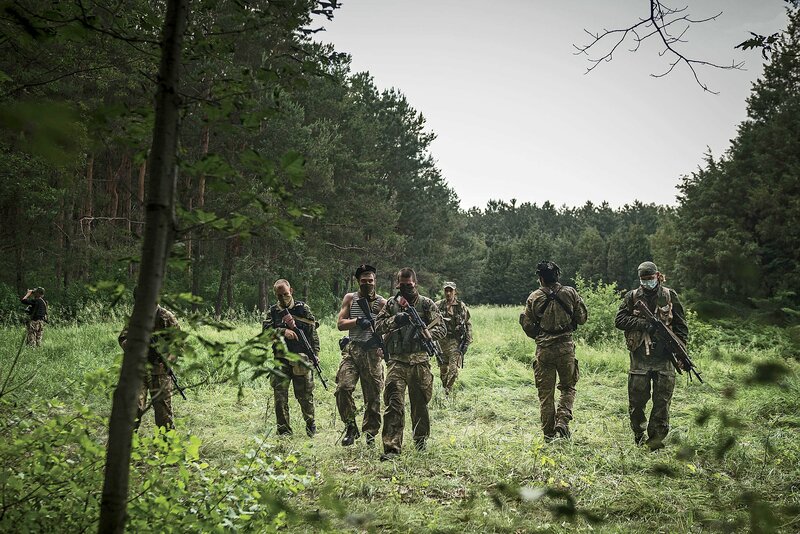 “Russia’s enemies are constantly looking for weak spots in our ranks,” Lugovoi wrote in his blog, blaming critics of the government for “seeking to disrupt normal life in Russia,” with support and guidance from Western intelligence agencies. “These people are suspected of disloyalty by default,” says Svetlana Gannushkina of the organization Memorial, which chronicles human rights abuses ranging from Stalin’s gulag to racist police in today’s Moscow. Most Russians won’t care very much about being cut off from the world. According to a 2012 study by Moscow’s Levada Center, 80 percent of Russians have never traveled abroad, and only 5 percent speak a foreign language at the conversational level. But the most damaging result of the crackdown, says Ryzhkov, will be to quicken a brain drain of the smartest and most globalized Russians—exactly the kind of people Dmitry Medvedev tried to encourage to return to Russia during his short stand-in presidency between Putin’s second and third terms. Few Russians will be sorry to see him go. One of the surprising things about the strident nationalism that accompanied the Ukraine crisis and Crimean annexation is how many of the emerging middle class have gone along with it. Three years ago, up to 100,000 largely educated and Internet-literate citizens protested on Moscow streets against the rigged Duma elections in the biggest challenge to the Kremlin since the end of the Soviet Union. 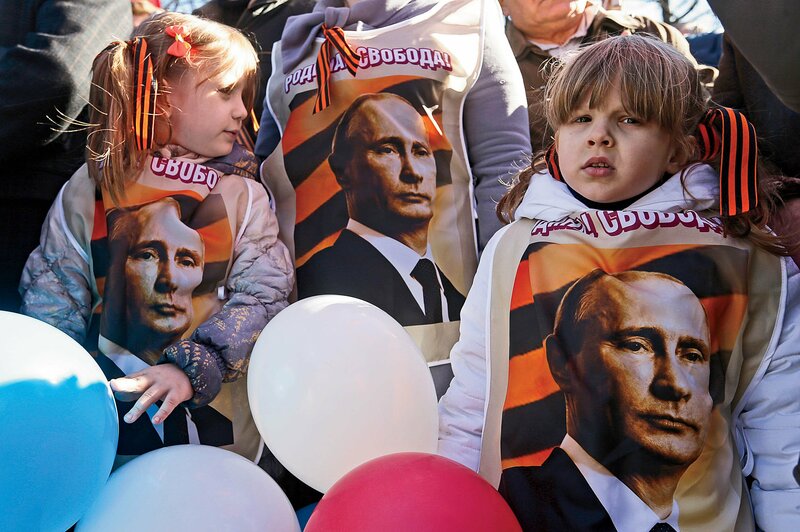 Now polls regularly show that swaths of Russia’s elite support Putin’s new nationalism. A new study by Russia’s Academy of Sciences shows that 79 percent of Russia’s middle class said the state “deserves support despite its many flaws,” 78 percent said that “stability was more important than change,” and 49 percent said Russia needed a “firm hand" to keep order. Even more depressing for the tiny liberal opposition is that the study found that of the 40 percent of the population judged “middle class” by the survey, only 13 percent were entrepreneurs and over half were employed by the government. What’s clear is that Putin has given up on trying to please Russia’s tiny urban, technocratic, aspirational constituency and has turned full on to appeal to Russia’s blue-collar voters. These are the very people who are most scared of the economic impact of globalization and immigration, which is why Putin’s protectionist, conservative and technophobic message goes down so well. 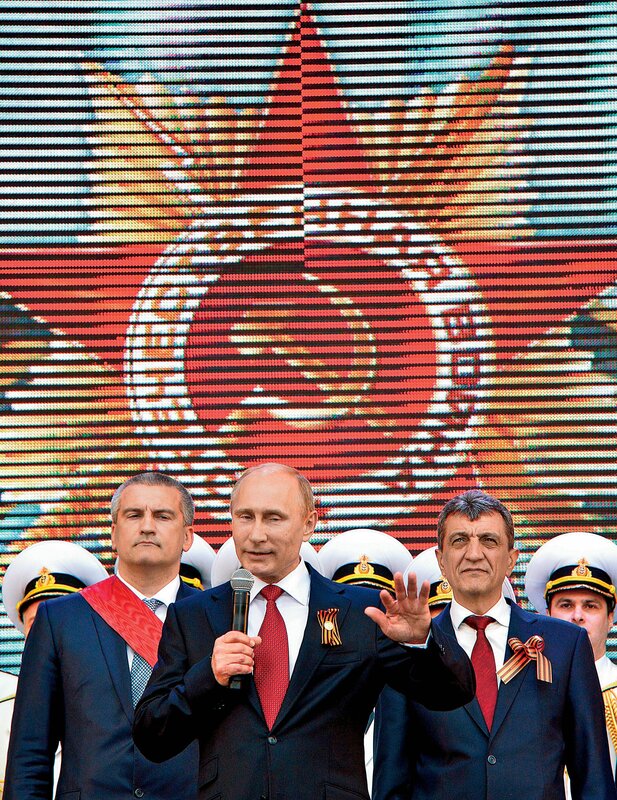 The pre-Crimea Putin was basically pragmatic: His priority was stability and prosperity. If that meant quashing the odd protest and oligarch along the way, he did it. But post-Crimea, Putin has become a different kind of leader, motivated by ideology, regardless of the cost to Russia’s economic well-being. Never mind that Russia accounts for less than 2 percent of global gross domestic product. Putin believes that Russia doesn’t need Visa cards, international money markets, vacations abroad, or membership in the G-8 or the Council of Europe, and that his citizens should be sheltered from corrupt Western values and the Internet’s corrosive influence. He is striking out on a uniquely Russian path—even if it leads to isolation, capital flight and the loss of his country’s best and brightest.